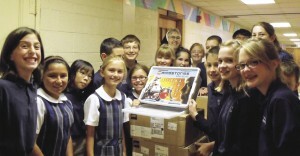 Sr. Bernadette Joseph Kupris and technology teacher Katherine Dee, with their students at St. Mary’s Academy, Baldwinsville, are excited to begin the Lego Mindstorm Robotics Program thanks to a Program Enhancement Grant from the Heritage Campaign. Legos have long been a childhood favorite, but put those colorful pieces together with some state-of-the art technology and you’ve got a winning combination that is bringing robotics into the classroom at St. Mary’s Academy in Baldwinsville. The Lego Mindstorm Robotics Program is one of two dozen Program Enhancement Grants awarded for the 2010-2011 school year thanks to funds provided by the Syracuse Roman Catholic Diocese’s Heritage Campaign. Barbara Jacques, principal at St. Mary’s Academy, was thrilled to learn her school had received a grant. As the former principal at Rome Catholic School, Jacques is familiar with the robotics program, launched in Rome in 2008 and also funded by the Heritage Campaign. The Lego Mindstorm Robotics Program will help St. Mary’s students become better problem solvers and enhance their research skills through the study of robotics, which incorporates elements of computer science and engineering. Students use Lego robotics kits to build an actual robot and then proceed to carry out their own experiments and investigations, while also learning important lessons in teamwork, creativity and imagination. According to Debra Brillante, assistant superintendent, schools that received the 2010-2011 Program Enhance­ment Grants had to go through an application process with the Catholic Schools Office. Those schools that had received grant money two years ago through the Heritage Campaign had first preference in order to sustain already established programs. Schools wishing to introduce new ideas were encouraged to apply, as well, and almost every school received some amount of funding. During the application process, each school needed to show that its projects truly enhanced the current curriculum and was required to provide measurable data to show that similar projects had resulted in success at other sites. Field trips that happened only once were not eligible, as the grants are intended for programs, technology and other equipment that can be sustained for continued benefit of students and the schools. The 2010-2011 school year marks the second time the diocese has released Heritage funds to the schools for program enhancements. The first time was a $187,000 disbursement in 2008-2009. This year, over $590,000 were distributed to schools from Heritage funds, with $90,000 going to program enhancements, $225,000 going toward additional financial aid, and the remainder going toward marketing and development efforts to promote Catholic schools. 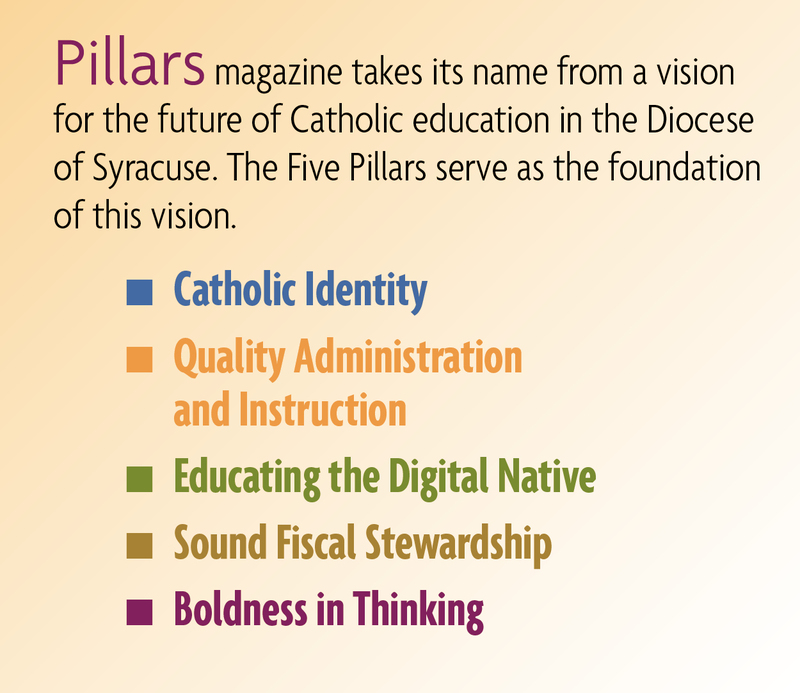 The Heritage Campaign was established in 2000 by Bishop James Moynihan in an effort to preserve the heritage of Catholic education in the Syracuse Diocese. Thanks to the Bishop’s tremendous commitment to the cause and outstanding support from the community, the campaign exceeded its original $33 million goal by bringing in $51 million in original pledges. The Heritage Campaign also supports other functions of the diocese, including religious education and youth ministry, the efforts of Catholic Charities, retired priests, and parish facilities and programs. Mominey is particularly proud that the Heritage funds have enabled Catholic schools to distribute $225,000 in financial aid during the 2010-2011 school year — in addition to the already half million dollars distributed through the diocese’s Hope Appeal Campaign. This was the first year financial aid from Heritage was allotted to families in need.